Erin Landscaping installed a patio for us in our sloped back yard. 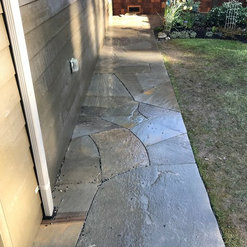 The job was very professionally completed and the patio looks terrific. They also removed our original extremely narrow concrete walkways and installed new, wide, paver walkways. The patio and walkways look wonderful and are great to walk on. We couldn't be happier. This job was full of unforeseen challenges and required major redesign while underway. 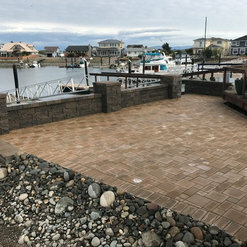 Erin Landscape figured it all out and executed a great final result. I will use them again for future landscape and masonry projects. 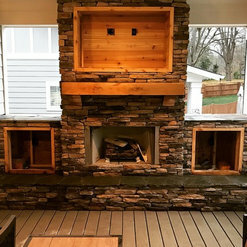 Erin Landscaping is the best landscaping company in Bellingham, Washington! 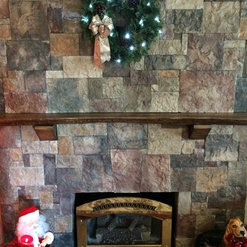 After initially meeting with the owner, Kristian Nason to discuss our landscaping ideas for our new property, and after hearing his design suggestions and feedback regarding preparations for proper water drainage issues and hardscape work, we felt confident we were working with the best in the business. Kristian’s professionalism, knowledge and creativity were displayed throughout the process. 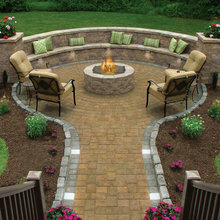 We are very pleased with the beautiful patio, walkways, rain garden, retaining walls and plantings. His crew was always professional and hardworking! 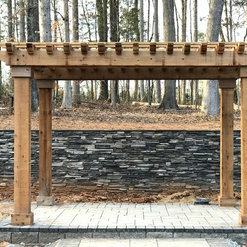 We feel very fortunate to have worked with Erin Landscaping on our recent hardscape project. An overgrown garden was transformed into a lovely stone patio with a small retaining wall. 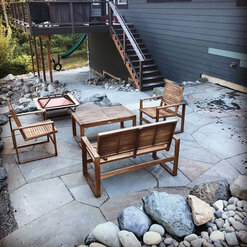 The design is compatible with our surrounding area, and the assorted materials create and interesting and textured look: flagstones; cobble stone; and assorted rocks. We are extremely pleased with the result. The project included a great deal of ground preparation as well as dealing with and solving a drainage issue. Tree removal and stump grinding were also part of the preparation. When I initially contacted Kristian Nason, he responded within 15 minutes. He was on site that afternoon, assessing the situation and offering ideas. From that point on, we developed an easy working relationship. We liked his ideas, and he was flexible with our timing/schedule and the weather! Additionally, Kristian has a great crew! Hard-working, thoughtful young men who went the extra mile. 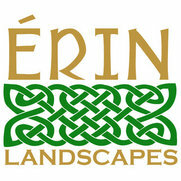 We enjoyed working with this team and highly recommend Erin Landscaping! True professionals! 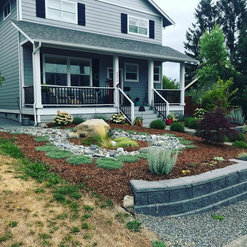 Erin Landscaping has got to be one of the best in Bellingham. Kristian Nason worked with us to create a hardscape design that complimented the house and existing elements. 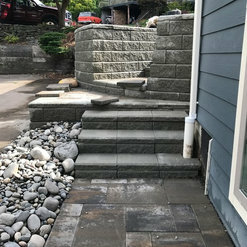 The plan included flagstone pathways and planting ares, a loose-rock retaining wall,reconstructed stairs, and a remodeled front steps. He provided a detailed quote and timeline, and then delivered exactly what he promised. We were very pleased with his process and results! 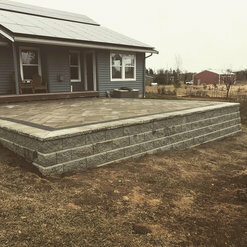 Erin Landscaping & Masonry removed junipers from a hillside and terraced the space with three dry laid stone walls. They included a simple rock stairway, and backfilled the terraces with planting soil. They also built a paddock wire fence across the top of the hill including a gate. They did excellent work, interpreting our ideas in a very creative way. They worked quickly but never sacrificed quality workmanship. They completed our job straight through without delays to go work somewhere else in the middle. They cleaned the job site every day after work. We felt their price was reasonable especially after we saw the results. They are fun to work with, and I highly recommend them! I hired Erin Landscaping for the repair of a water feature. From the time of evaluation to project completion I was more than satisfied with their strong desire to provide effective and timely communication, their work/professional ethics were always present and did not change and I was very happy about the clean-up following the work. 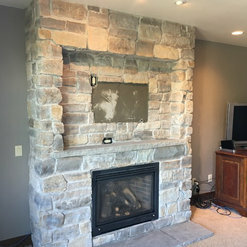 The total package of workmanship brought everything together and I am going to hire them again. 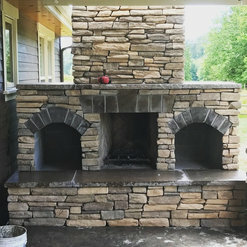 Erin Landscaping & Masonry is simply outstanding and I am happy to endorse them and their results. 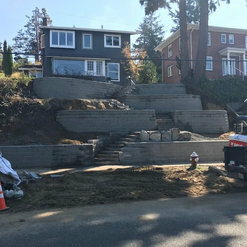 I have a large double lot on South Hill that was neglected for several years and wanted a true partner to develop a long term, multi project plan for both landscaping and masonry. From my first encounter with Kristian and Derrek, their professionalism and knowledge really made me feel comfortable we could work together. Their plans were well detailed and articulated and the pricing/bidding was accurate and very reasonable. The craftsmanship is impeccable and they have educated me throughout the four phases we have already completed. They have been extremely clean in their work and considerate to my neighbors. I receive regular communication updates and they return phone calls the same day. Most importantly, they show up on time, when they say they will, every time, a rarity in my past experiences. Please view their FB page to see the work or have them bring you by to see it up close. Commented: How high is the fence? I love it!It’s 8 ft tall.